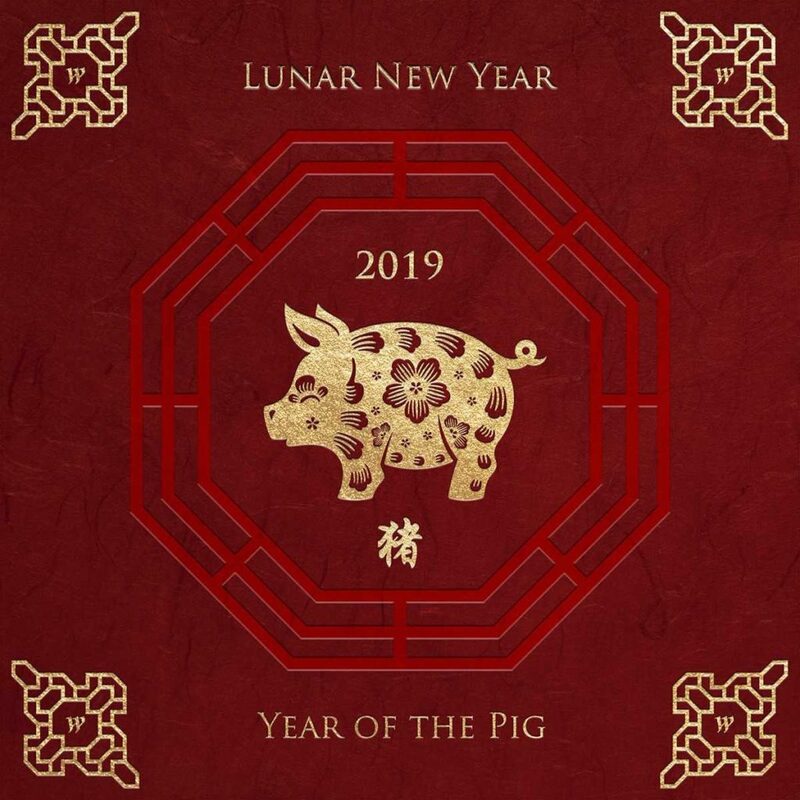 Ring in the Year of the Pig at Westfield World Trade Center. From now until 2/13, Westfield WTC is celebrating with in-store events, live music and coloring in the Oculus! The classic Dickens tale A Christmas Carol has been transformed into a thrilling new music theatre piece—Scrooge & Gilbert & Sullivan—featuring a new book and lyrics by Nathan Hull. A holiday tradition begun last year, this limited-run production will include musical highlights from 11 works by Gilbert & Sullivan, including the beloved Mikado, Pirates of Penzance, and H.M.S. Pinafore. Performances, which will take place in the well-appointed and intimate 200-seat Riverside Theatre, worth the train ride out of the neighborhood! Sunday afternoon, December 30, 2018, 2:30 pm. Fee: For tickets at $45 adults; $35 seniors/students/children under 12; $35 – $25 partial view. Please visit www.amoreopera.org or call 1 866-811-4111. OUTDOOR SUNDAY MARKET in collaboration with the NYC EDC Public Markets and the Seaport District. Meet farmers and small-batch food producers with staples and holiday food gifts. Bring the kids out for tasty treats and outdoor fun. 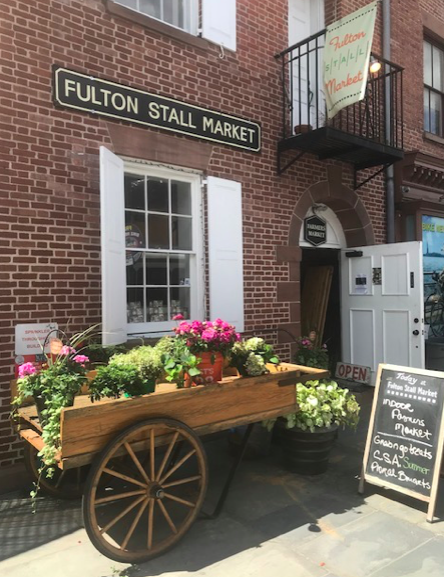 The Fulton Stall Market is a multi-faceted marketplace for local foods connecting regional farmers and producers with the growing Lower Manhattan community. 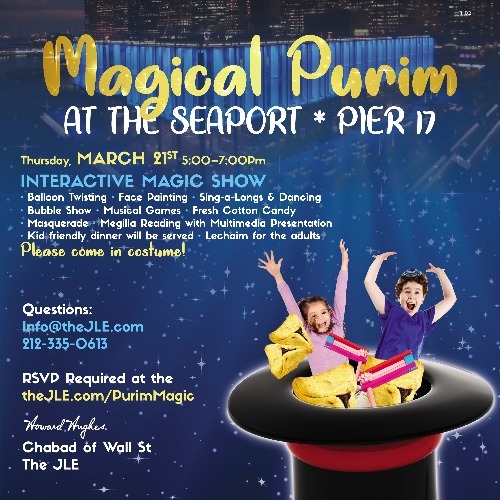 Located in the historic district where the City’s markets began in the 1700’s, it’s a first step toward the development of a larger year-round indoor public market featuring local products and educational programming celebrating the Seaport District’s vibrant market history. Location: Little Water Street cobblestones between Fulton and Beekman Streets. 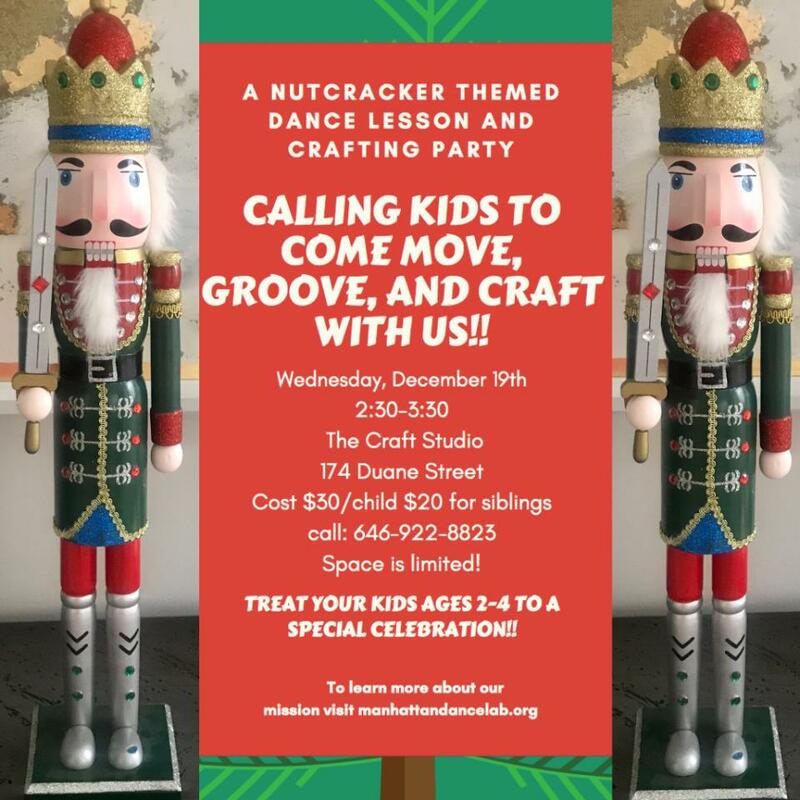 Don’t miss this opportunity to treat your 2-4 year old to a Nutcracker themed dance lesson and crafting party! Celebrate the holidays at The Craft Studio with Manhattan Dance Lab, in Tribeca.